A 'Shazam!' sequel could be in the works. 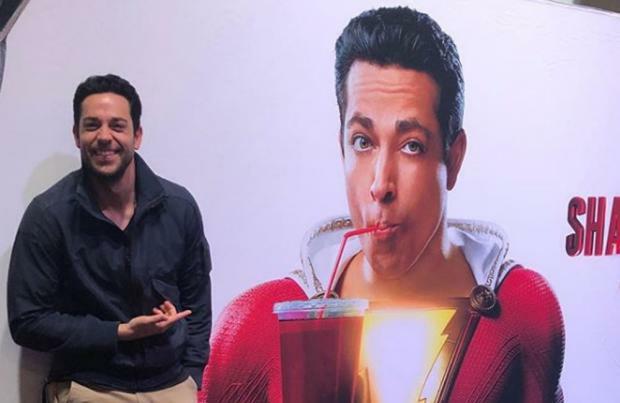 David F. Sandberg and Peter Safran – the respective director and producer of the latest DC Extended Universe film – have confirmed they want to continue the story of Zachary Levi's Billy Batson after his upcoming origin story which will be released on April 5. During an interview with ComicBook.com, the pair were asked whether they were ready to take on a sequel to 'Shazam!' to which Safran quickly replied: "Absolutely!" Sandberg then enthused: "Let's do it!" The forthcoming superhero movie will follow 14-year-old Billy who can magically transform into the adult superhero Shazam simply by shouting the word – an acronym of the ancient world gods and historical figures: Solomon, Hercules, Atlas, Zeus, Achilles and Mercury – and he has to use his powers to defeat the evil Dr. Thaddeus Sivana (Mark Strong). Zachary, 38, previously revealed he wants to join the DCEU's Justice League team, which features Batman, Wonder Woman, Aquaman, Cyborg, Superman and the Flash. He said: "I hope I get to be part of the Justice League. At San Diego, Jason Momoa [Aquaman] quite literally took me under his wing, put his arm around me and was like, 'Welcome to the family.' "
Although Levi is keen to expand his role within the DCEU, he has previously already starred in the Marvel Cinematic Universe as Fandral – one of the Warriors Three – in 'Thor: The Dark World'.